Lovely pale blue Angelite gemstones capped with etched brass petal caps hanging from brass circles. 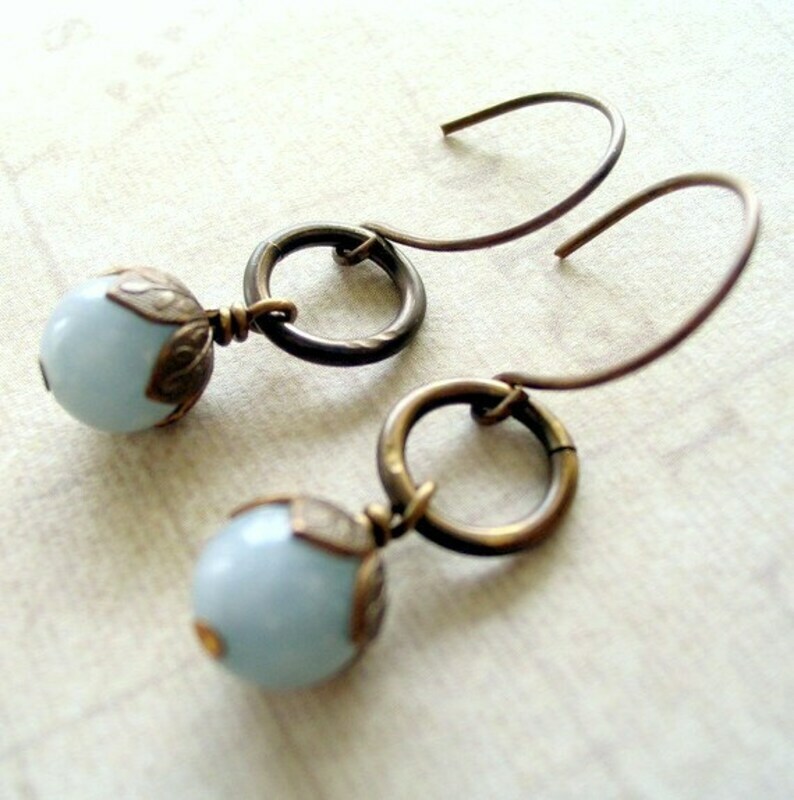 The Natural Brass earwires are hand formed, not plated, and do not contain nickel. The earrings are around 1.75 inches long as shown. They can be made using longer earwires as shown in photo 2. Available in different earring styles.